Cornerstone Builders Inc. is a locally owned and managed company located in Rochester, MN specializing in custom home building, residential and commercial roofing, siding and windows. We pride ourselves on providing great service and professionalism in every project we do. "After we discovered my wife's eyes were sensitive to all volatile organic compounds, we did a lot of searching for a safe environment & we were fortunate to find Steve Buss from Cornerstone Builders who was a certified Health House Builder. Since living in this house, Her eyes are better ... She was in eye pain 24 hours a day & that pain is virtually gone. We will live here for life." 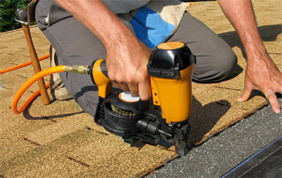 "Cornerstone Builders went out of their way to accommodate us in a very professional manner. They assisted us in our dealings with the insurance company, meeting with them when necessary and showing them the damages and going over the plan for redoing the roofs. Cornerstone was invaluable to us in getting a just settlement." "I was initially hesitant about hiring an out-of-town contractor to repair all of our storm damage, but you and your crew quickly put those fears to rest. You guys successfully battled my insurance company, located hidden storm damage, and completed the work in a meticulous and timely fashion. We are thrilled at the end result and have been singing your praises to others looking for a first-class and reputable contractor." 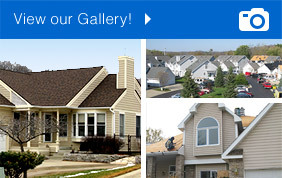 "My roof was initially denied. Thanks to Cornerstone I was paid for everything. In addition, their craftsmanship was second to none! Thank you Cornerstone!" Contact us with any questions or inquiries and we'll get back to you as soon as we can! Look forward to hearing from you! © Copyright 2013. Cornerstone Builders and Real Estate. Inc. All rights reserved.